Angry Birds Come to Life with NEW Angry Birds Arcade – Raw Thrills, Inc.
ICE and Play Mechanix/Raw Thrills have joined forces yet again to bring the most downloaded app of all time to an arcade near you. 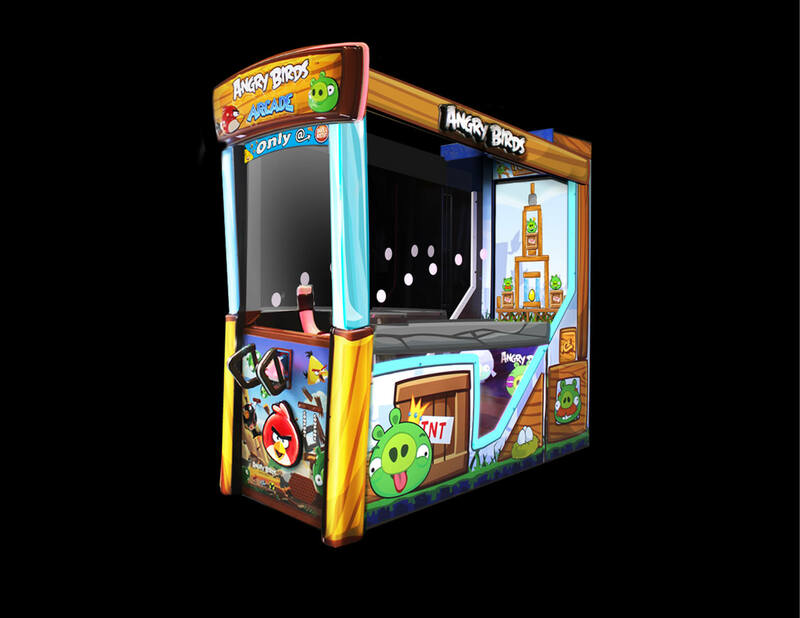 The Angry Birds Arcade is now EXCLUSIVELY at all Dave & Buster’s locations across the United States. With high definition graphics, customized levels, and plenty of angry birds to throw, this arcade will have you playing for hours. Dominate each level and redeem tickets to trade in for stellar prizes. The Angry Birds Arcade is one you won’t be able to pass up without testing out the sling shot! Read more about The Angry Birds Arcade HERE… and HERE. Want more? Read THIS too! Tagged Angry Birds, Angry Birds Arcade, Arcade Games, Dave & Buster's, ICE, ICE Vending, Play Mechanix, Raw Thrills, The Angry Birds Arcade. Bookmark the permalink.